There are 538 total electors in the Electoral College, who are chosen by each state of the United States and by the District of Columbia (but not by other territories like Puerto Rico). The number of electors for a state is based upon the voting membership of that state in Congress i.e. the number of representatives in the House plus the number of senators. There are a total of 435 Representatives and 100 Senators in Congress; so along with 3 electors from the District of Columbia that brings the total number of electors to 538. 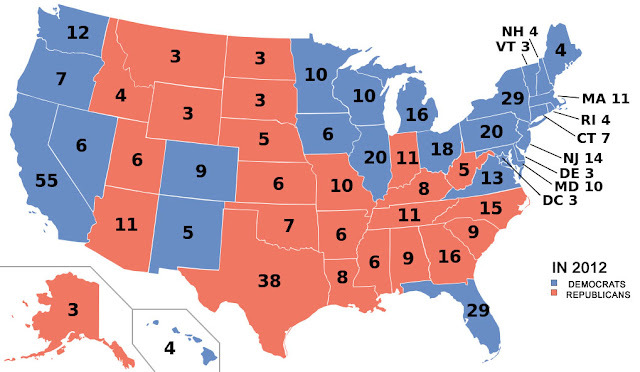 A presidential candidate needs 270 (just over 50%) electoral votes to win the presidency.